Have you ever seen a triple tractor? Neither had I! 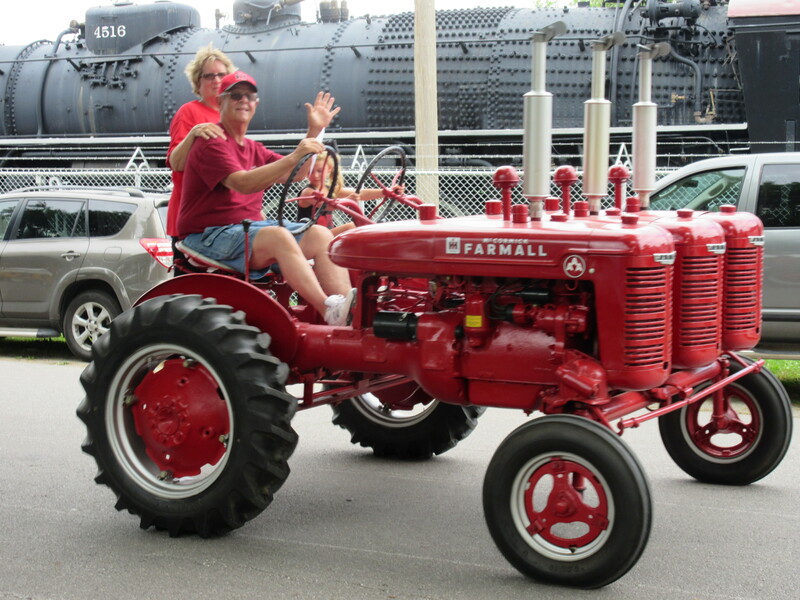 At this year’s Red Power Round Up we met up with Buddy and Belinda Woodson and their Triple A comprised of three Farmall’s A’s all linked together to form one cool tractor. The Woodsons hail from Eagleville, Tennessee and before creating the Triple A Buddy mostly was into hi-crops. The other half of the triple duo is Charlie Stewart a southern boy from Bogalusa, Louisiana. The original triple tractor was built by Charlie’s cousin the late Dewitt Stewart who combined three A’s. Dewitt’s Triple A is now housed at America’s Old Iron Museum in Bush, Louisiana. Buddy first saw the Triple A when Dewitt and Charlie came to a show in their hometown of Eagleville. Buddy decided to make his version of the Triple A and Charlie saw just how much fun Buddy was having so he made a Triple Cub. The two sat up beside each other at the 2015 Red Power Round Up in Sedalia, Missouri and garnered a lot of attention. Buddy said there are about five double tractors out there, but that the triples are a new phenomenon. He is on a high of pure adrenaline,” Belinda added about Buddy. Keep your eyes peeled, at shows this summer. The Triple A and Triple Cub are quite a sight! Next Post: Historic Farm Days 2015 is almost here!